Tuesday&apos;s agreement did not include any possible solution to the strike, officials said, and the union has only agreed to supply minimum quantities. Portugal&apos;s Minister of Economy Pedro Siza Vieira asked citizens not to rush to the pumps to help avoid any further shortages. 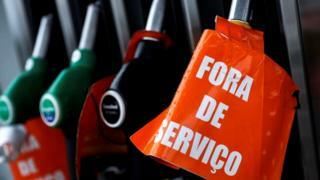 Portuguese newspaper Di�rio de Noticias reported that soldiers were on standby ready to drive fuel trucks if necessary. It added that the strike was "threatening to spoil the Easter weekend for many families, and business for many companies". Published on Wed, 17 Apr 2019 13:19:29 GMT, © All rights reserved by the publisher.